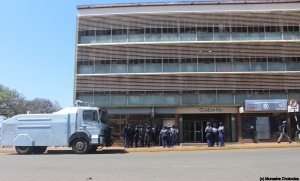 HARARE: Zimbabwe Republic Police(ZRP) has mobilised across to crash a planned demonstration called by the Zimbabwe Congress of Trade Unions(ZCTU). 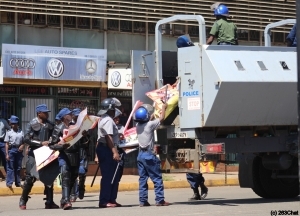 Police say public gatherings are banned owing to a cholera outbreak, but the trade union movement says this is being used as an excuse by the ZRP to stop protests against economic mismanagement by President Emmerson Mnangagwa’s government. 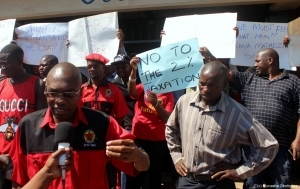 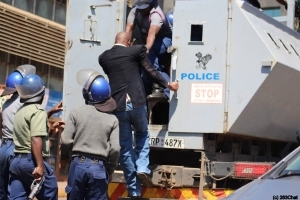 In Harare ZCTU President Peter Mutasa and Secretary General Japhet Moyo have been arrested by police in connection with the demos that were scheduled for today. 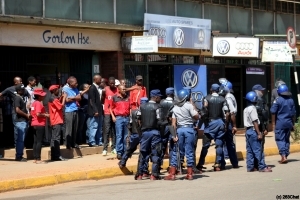 The anti-riot unit was filmed arresting protesters and confiscating flyers, leaflets and anti government material at manned ZCTU headquarters along Jason Moyo Ave in the capital. 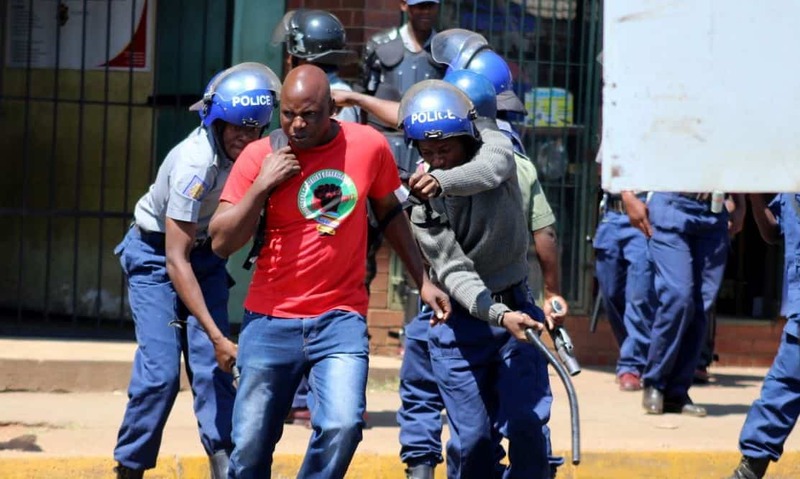 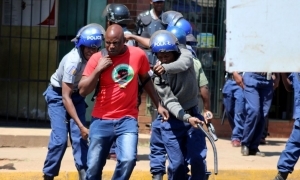 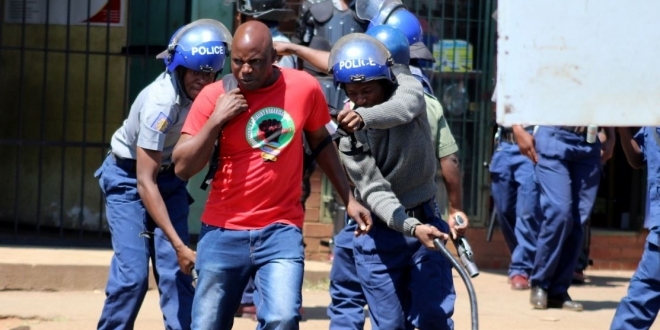 A police source working in Harare told Zwnews that up to 50 ZCTU activists, protesters and officials have been arrested across the country as police and military personnel work against time to contain the situation before it gets out of control.